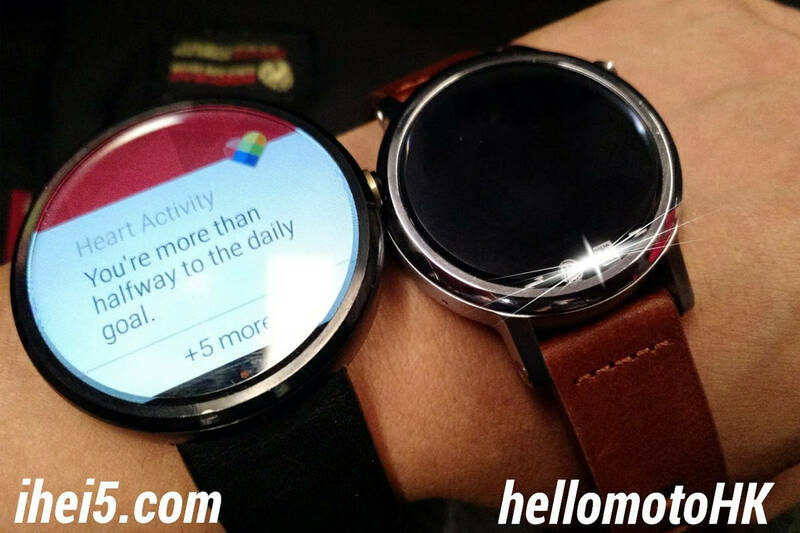 The leaked images with the upcoming Moto 360 smartwatch keep coming and honestly, we’re not mad at all. After all, we’re looking forward to finding as much details as possible about the successor of one of the best smartwatches we’ve ever seen. Actually, we will see two versions of the new Moto 360! Motorola is trying to make a wearable sporting a look as close as possible to a classic watch, so a Moto 360 available in two sizes will allow way more people to wear it with a more formal outfit. As you can see, the leaked image, spotted on Hellomotohk’s Facebook profile, reveals the smaller version of the smartwatch. We can notice the same details spotted a few days ago, in another leaked image: big lugs, a traditional element, and the new position of the wake button, placed now at 2 o’clock. Also, this is the first image to reveal the new Moto 360 with a black wristband and a silver casing (at least that’s how it looks from here, but there were rumors about a Rose Gold casing – Cognac band) confirming the fact that it will be available in at least two color options. How big will the big one be? We’re curious to see the bigger version of the smartwatch alongside last year’s model, to see if the manufacturer decided to keep the same size. After all, the original Moto 360 was far from being a small smartwatch, but this wasn’t an impediment and people still preferred it over models from other top manufacturers, like Samsung or LG. If you were to buy the new Moto 360, would you opt for the smaller or the bigger version?